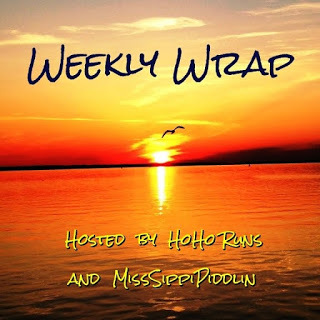 Lindsay Loves Running: Weekly Wrap: What Would You Do? I always stop and help folks, but I am not you. I feel it is your best judgement in this type of situation. This may sound sexist, but lady's need to be way more cautious than dudes. I don't think that is sexist at all. Everyone has to be careful and despite my desire to help people (just like you), I had to stop and question whether what I did was actually smart! Oh this is a tough one. I stopped to give directions one time BUT, I was running on a sidewalk in town and it was a lady who stopped me. I think you're right to be skeptical! I think I was probably not cautious enough. I just didn't think about it until after the fact. I used to carry pepper spray with me when I lived in Chicago - might have to bring it out again. Good thought! In the abstract I would say, ignore them - we've had incidents of people being abducted from cars that stop and ask for directions - but in the moment, I probably would go with my gut and hopefully not regret it later. Glad being kind worked out for you! Oh yikes, that's really scary! I may have to practice the "pretend like all you're doing is waving at me so I'll just wave back and keep running." Thankfully nothing bad happened this time, but we can't be too careful! Wow, that's a tough call on what to do. Safety says, "Don't stop!" but my gut would probably want to offer help. UGH. It's crazy and so sad that we have to always be on alert. It's so tough right? We want to be helpful and I feel like so many of us are such social people. You're right that it's sad. That a few people out there could potentially cause the majority to act in a less than friendly way. Girl!! I watch ID channel...I would have stopped to help but from a far enough distance so that I could run if I had too...lol!!! Stranger Danger is real for grown ups too. Haha you're right! I've watched enough episodes of Forensic Files that I probably should know better. Hopefully I stayed far enough away - we talked through the passenger side, but I suppose he could have easily driven after me if his intentions were bad ... yikes! I think you need to assess the situation and go by your gut. This one's tricky since it's a secluded area, and the trails I use are pedestrian and cyclists only. You're right and I've NEVER seen a car on that little stretch of path before. I mean clearly he was lost because there is no reason for cars to be up there. Now, it would have SERIOUSLY freaked me out if it had not been in the middle of the day. Whole other ballgame! That is just so creepy when people flag me down--I don't want to stop or give directions. You just never know. I agree. I hate to be anti-social ... and would want someone to stop and help me if I needed it ... but you're right, you just never know. I should probably be more careful. Well I am so very glad it worked out in your favor. I'm not sure what I would do, it's not like you could ignore them being the only two on the path! I think you did the right thing. 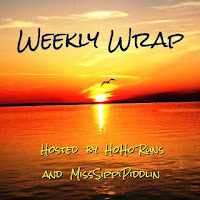 Thanks so much for linking up with us, yes I'm still in girls weekend hangover mode and trying to get back to reality! The struggle is real! Have a great one! I would say don't stop. Most folks these days have phone apps that will easily provide any directions they would need. Leaving a race just recently, a dude knocked on my window after I got in the car and I stupidly let the window down. Turns out he was homeless and wanting money. But it shook me up a little. Thanks for linking, Lindsay! Be safe out there. Thanks! It's so hard to know. Honestly, it would really freak me out to have someone tap on my window because I'd feel trapped somehow. I guess we all just need to appreciate that this world can be a crazy place and not lose sight of it. Thanks for the advice and for hosting!